There are many "charismatic mega-fauna" that do not fall under the previous categories and we fully recognize that it is not just the mega-fauna that are cause for concern, but entire ecosystems including many smaller creatures. As we develop this site more, we will plan to expand on this broad "Other" category. In the meantime, here is a starting point. Gentle mammals who are known for the patches of color on their fur and their long necks...the image of large herds roaming free across the African Savannah is classic and romantic. While the species as a whole is not considered endangered, numbers have declined dramatically in recent years. And some subspecies, such as the West African and Rothschild's, are highly endangered, with only a few hundred left in the wild. 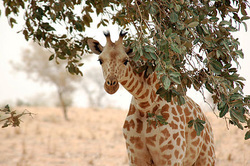 Giraffe Conservation Foundation UK-based organization with projects across Africa. Hippopotamus: A favorite word for children and adults too, from ancient Greek meaning "river horse." Hippos, largely herbivorous mammals living in sub-Saharan Africa, are most closely related to whales and dolphins; making for a fascinating 60-million year old family tree. 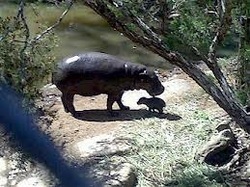 The Pygmy Hippo belongs to a different genus. Hippo populations have declined dramatically in recent decades due to poaching and habitat loss. Pygmy Hippo Foundation UK-based organization that aims to promote the conservation of the remaining Upper Guinean rain forests in West Africa, which are home to the last wild pygmy hippos. Is there anything cuter than this guy? Also known as red cat-bear, there are estimated to be less than 10,000 left in the wild. Red Pandas are hunted for their fur in China, among other threats. 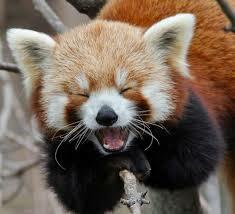 Red Panda Network San Francisco-based network with teams in Europe, Australia and Nepal. These tree-dwelling mammals are funny and fascinating. And threatened by habitat loss and other factors. Sloth Sanctuary As if anyone needs a reason to visit Costa Rica! 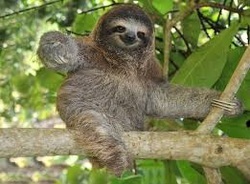 In any case, here is one: support the Sloth Sanctuary. 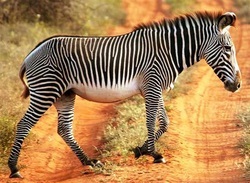 In other times, this zebra species had a wide range in Africa, but it is now found only in Southern Ethiopia and Northern Kenya. Habitat loss and hunting have done a great deal of damage. This guy is the only mammal with large keratin scales covering its body. Pangolins are found in tropical regions throughout Africa and Asia and they are being hunted mercilessly for demand in China for "medicine." There is a misconception held by some in China in particular that their ground-up scales can stimulate lactation or cure cancer or asthma. Pangolins are also killed for meat. Project Pangolin A voice for a little known victim of the illegal wildlife trade. ﻿Save Pangolins﻿ Washington, D.C.-based group that was founded in 2008. This tree-dwelling, plant eating marsupial and Australian native, is surely one of the most endearing creatures on the planet.